Colorado and New Mexico, March-April 2010, part 2 | ride. travel. live. 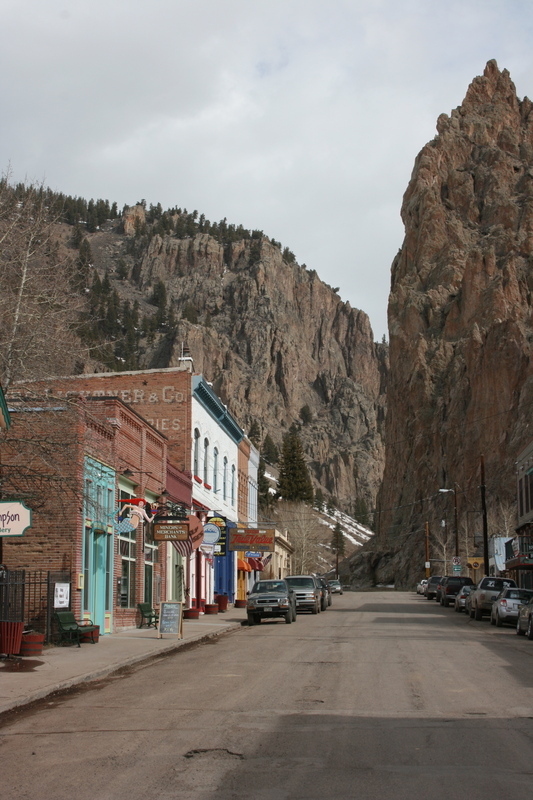 From Alamosa, Colorado, which is a somewhat grim town in the middle of the San Luis Valley, I drove west towards Durango, with a detour up the Rio Grande to Creede, CO. I saw a photograph taken about 70 years ago, during this color photographic survey of the U.S. during World War II, and decided to visit the town. It’s a tiny town of Victorian structures in a magnificent setting, shoved up against a deep canyon, and probably has changed little in the intervening years. 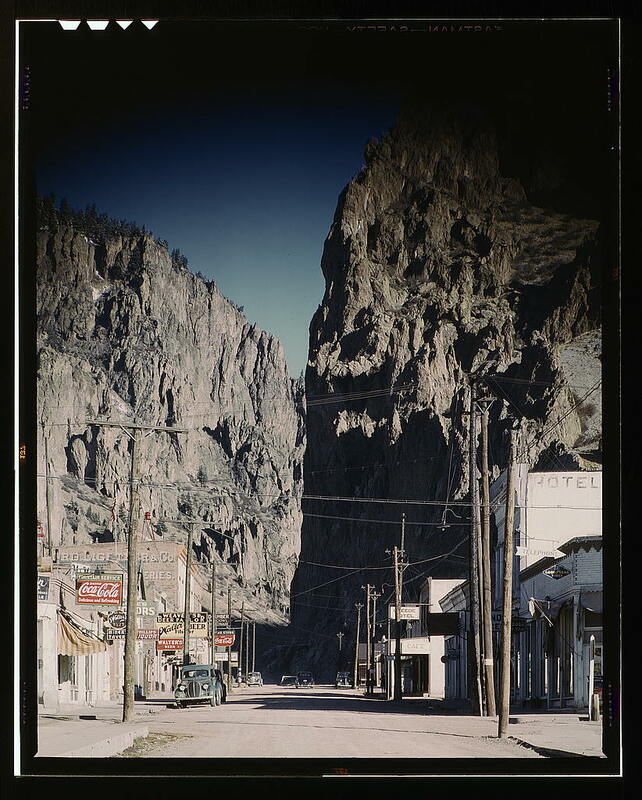 The road to Creede, CO 149, is mostly flat, following the meander of the Rio Grande as it winds through a very colorful canyon before opening up further upstream. I spent the night in Durango, which had grown quite a bit since my last visit in 2003. 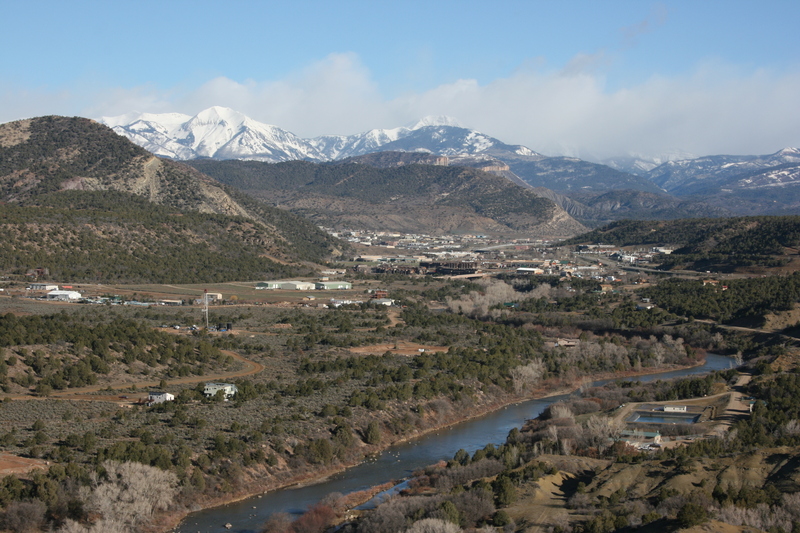 It’s on the verge of getting overdeveloped and has started to acquire that urban sprawl that shouldn’t belong in the Colorado mountains, but the downtown area is quite pretty, and the setting is also quite beautiful. The winds were ferocious, and it was awfully dusty, though. My destination was Santa Fe for the evening, via Chaco Canyon, formally Chaco Culture National Historical Park, a little-visited national park and UNESCO site that’s quite a ways off the paved, but not-so-beaten path. It’s just over two hours driving south of Durango. 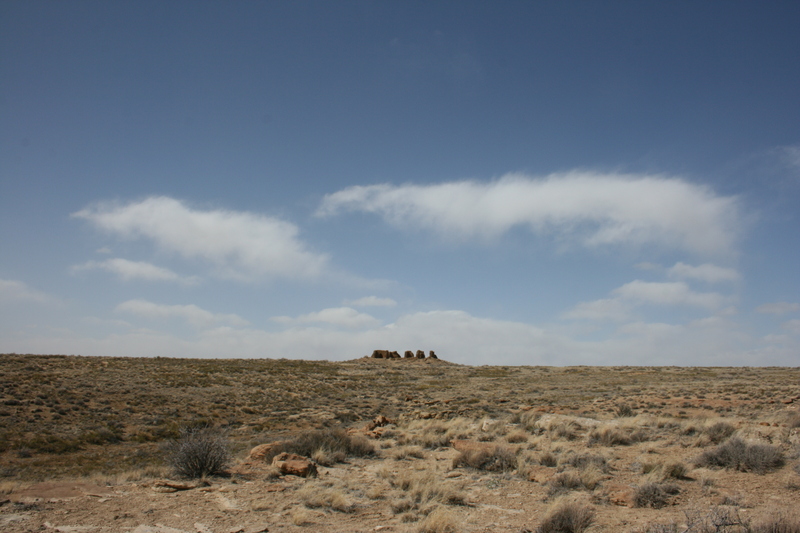 The landscape changes quickly, and becomes the familiar wide open land associated with New Mexico, blue skies, mesas, and ashy gray cottonwood trees. I stopped first at Aztec Ruins National Monument, which is located in the not-so-Aztec styled town of Aztec, New Mexico. 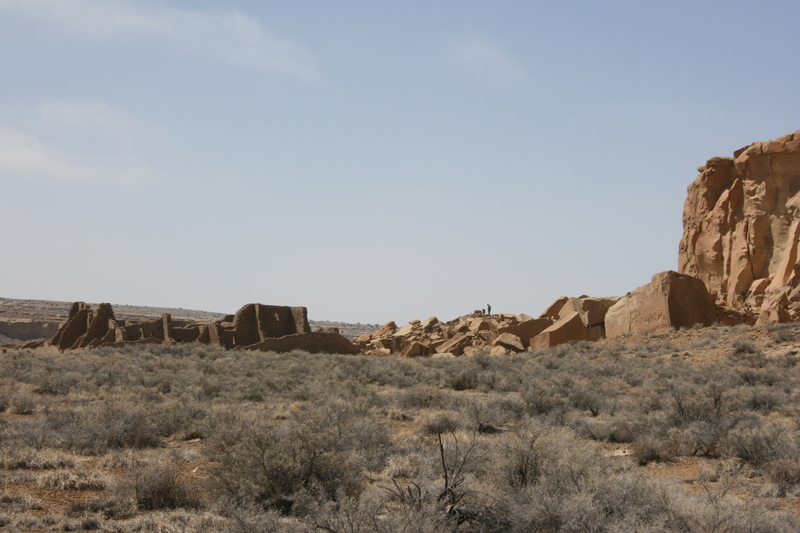 The ruins were the termination of one of the ‘roads’ that led to Chaco Canyon, while the town itself is cute in a Victorian, wild West sort of way. The road into the park defines the kind of place it is, quite isolated, with one recommended route into the park, which involves more then 20 miles of driving, most of it on dirt and gravel roads. So with the difficulty of access, none of my friends based in New Mexico have actually visited, and on this weekday, there were perhaps 20-30 people total in the park. 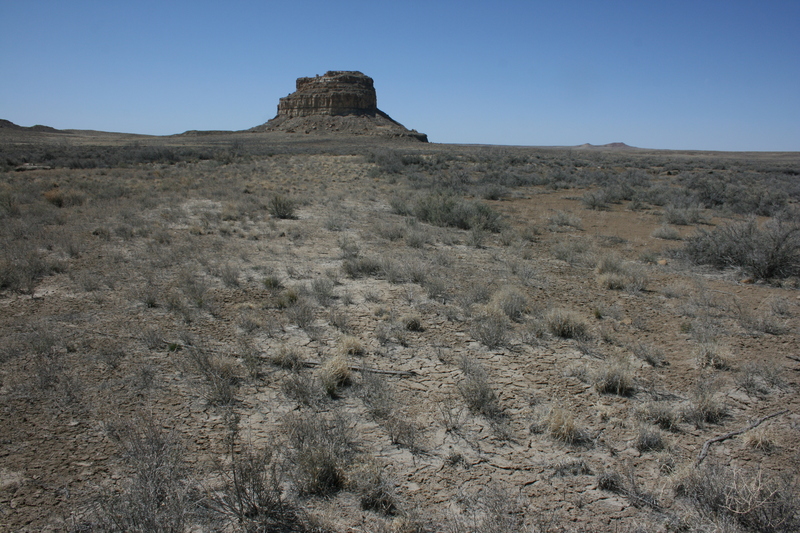 Chaco Canyon is an unlikely place for a large human settlement. The ruins are extensive, the landscape not so spectacular as much as it is forbidding and unforgiving. Temperatures that day were in the 40’s, with a stiff wind and plenty of dust, and this place is known for temperature extremes, from 102 F to -38 F. The source of water on the canyon floor was dried up. I’d say that it’s not visually beautiful, but atmospheric in the odd shapes and geometry of the ruins, and geologically fascinating as well. This used to be prime beachfront property tens of millions of years ago, so the rocks are filled with fossils of everything from shrimp burrows to shellfish. 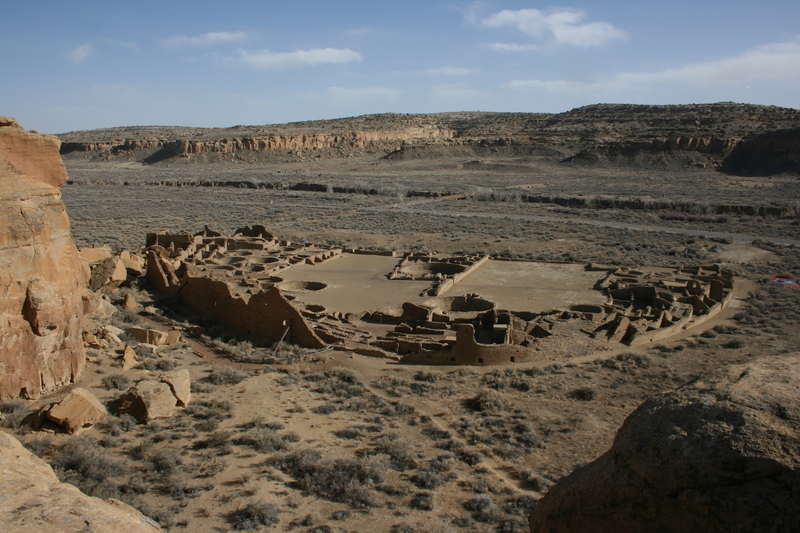 I took a tour of the large Pueblo Bonito ruins, then hiked up to the top of the canyon for a 6 mile loop that gave me a birds-eye view of the various houses and ruins along the way. The layout of the large ‘houses’ are difficult to grasp from ground level. The trail up to the canyon rim is quite interesting, squeezing in through a very narrow cut in the rock, in places barely 2 feet wide, and after about 300 feet of climbing, you reach the top of the canyon. The vistas are not one of overwhelming beauty, for a state of superlatives, this is relatively drab. 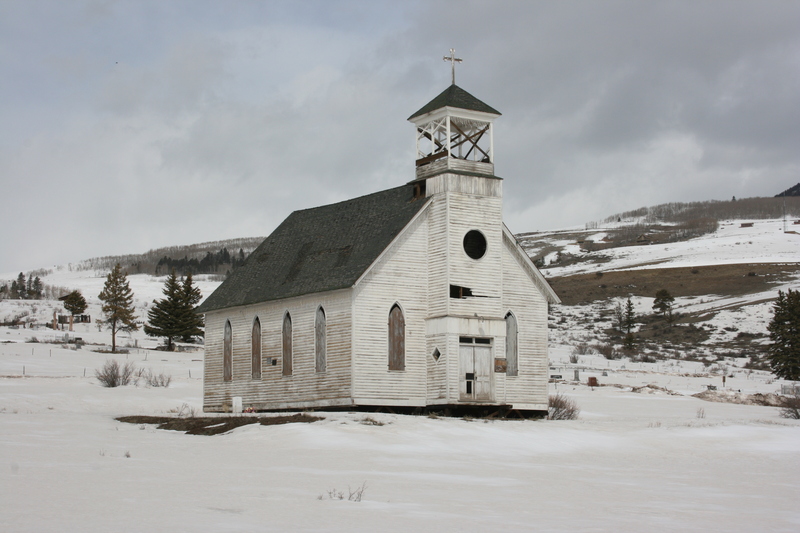 But for an already sparsely populated state, this is a remote, silent, isolated place. 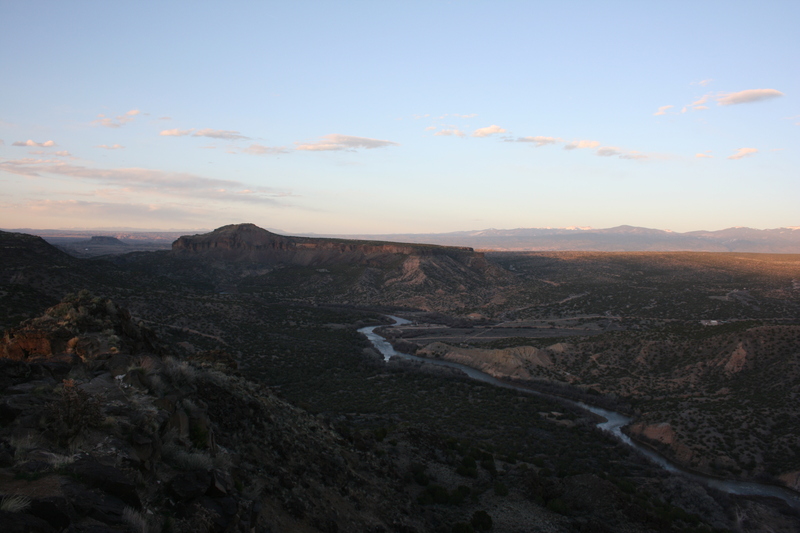 And finally, one of my personal favorite vistas, from White Rock Overlook in Los Alamos. The view extends from Sandia Crest to Taos.